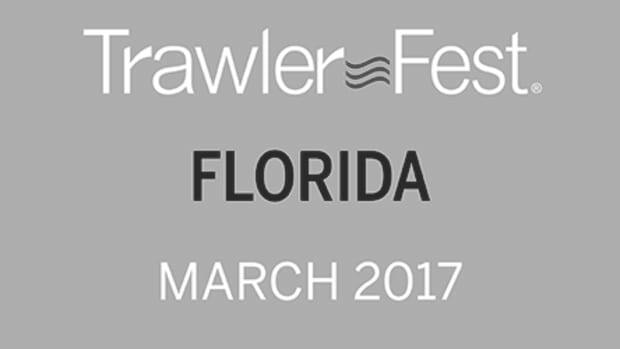 TrawlerFest is PassageMaker's stand-alone series of boat shows, specifically designed for cruising under power enthusiasts. Strategically located in key cruising regions nationwide, TrawlerFests showcase the nation's best in-water display of cruising powerboats, first class boating courses and demonstrations, all the latest in marine products & services, and rendezvous-style evening events and activities! 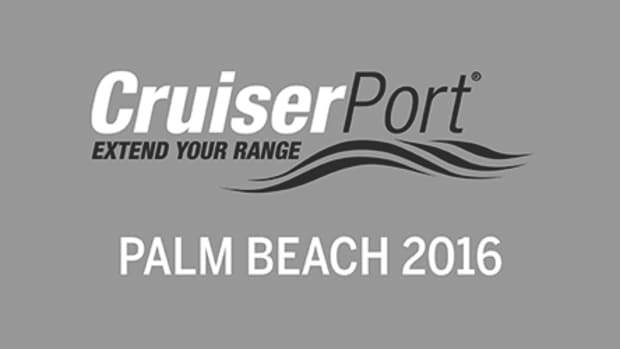 The Nation&apos;s Premier Cruising Event Returns to Riviera Beach! 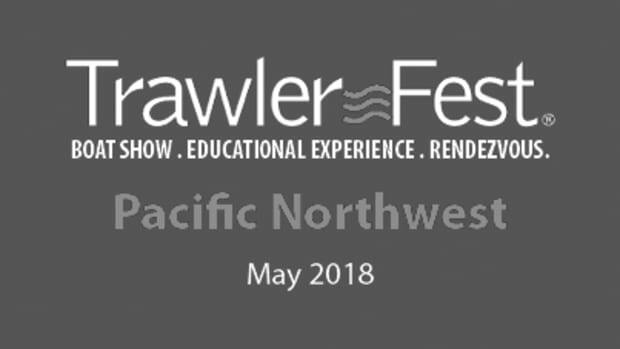 TrawlerFest is PassageMaker&apos;s stand-alone series of boat shows, specifically designed for cruising under power enthusiasts. 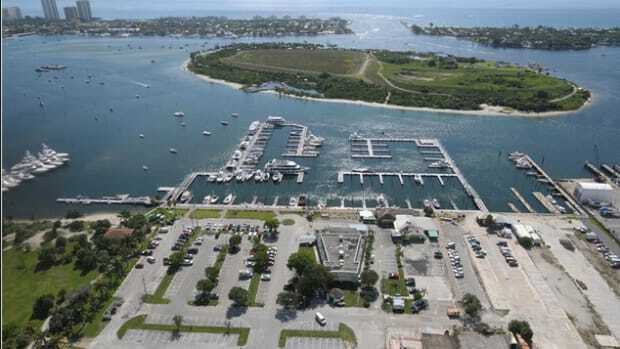 Strategically located in key cruising regions nationwide, TrawlerFests showcase the nation&apos;s best in-water display of cruising powerboats, first class boating courses and demonstrations, all the latest in marine products & services, and rendezvous-style evening events and activities! 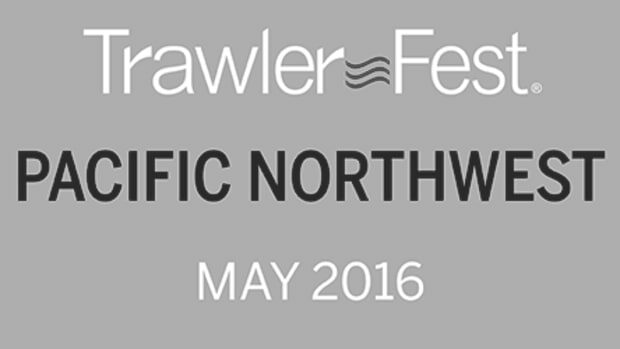 TrawlerFest is more than a boat show; it&apos;s where industry, education, and community come together in a relaxed, rendezvous-type atmosphere. 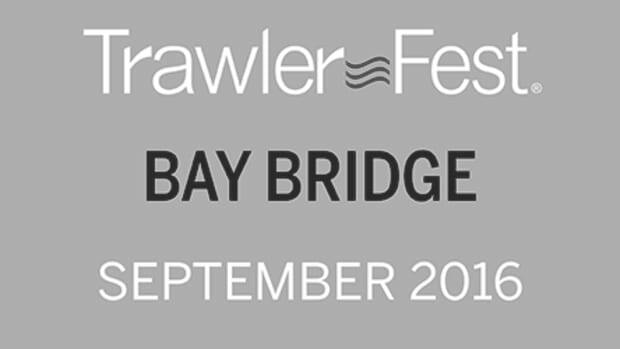 TrawlerFest is an experience you simply won&apos;t want to miss! Click below to purchase tickets to our educational seminars, GA tickets, Social events and more! with Nigel Calder & Steve Zimmerman in partnership with Riviera Beach Maritime Academy and Viking Yachts. 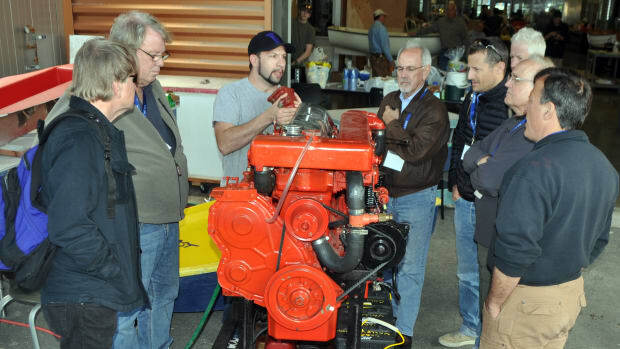 This is not the only diesel engine course for boaters, but it is the only diesel engine course for boaters taught by renown author/researcher Nigel Calder and veteran boatbuilder and yard operator Steve Zimmerman. Calder&apos;s status is such that when he makes an observation about engine performance, the engine manufacturers themselves pay attention. It is also worthy of note that unlike most other engine instructors both Calder and Zimmerman are real deal cruisers, who bring this perspective to the curriculum. This two-day session combines classroom time with hands on engine time in the shop. It also combines theory and practical troubleshooting instruction, and it does so with a touch of humor to keep things lively. New this year: TrawlerFest is partnering with two outstanding institutions, the Riviera Beach Maritime Academy and Viking Yachts, both of which are adjacent to marina. PARTY/CEREMONY: Attendees and spouses are welcome to a "graduation" party after Wednesday&apos;s session, during which certificates of completion will be awarded, and a good time will be had. In some cases the certificate of completion may help attendees save money on their boat insurance. Even when it goes well, buying a boat can be a stressful process. The idea behind this eight hour seminar is to arm buyers with the information they need to minimize frustration and unnecessary expense. There are six "team teach" instructors, with individual presentations and a group panel session at the end of the second morning. The theme of the first morning is "physics & psychology," leading off with the first decision a prospective buyer of a cruising boat must make. That is, what kind of cruiser you plan to be and therefore what kind of hull design, because, as boat designer Reuben Trane will argue, hull form matters. Then Great Harbour trawler builder Ken Fickett will explain fiberglass boat construction and how to discern between good and bad. Metal boat builder and surveyor Dylan Bailey explains metal boat construction and its advantages and disadvantages, then finishes the morning with an explanation of the role a surveyor plays in the buying process and what to look for when hiring one. The theme on day two is "the fine print", and it begins with yacht broker John Clayman on the topic of choosing a yacht broker and the elements of a good sales contract. Insurance veteran Frank Atlass follows with a behind the scenes look at marine insurance and the elements of a good cruising policy. Topics will include navigation territories, coverages, claims liability coverages, international medical coverage, north/south restrictions, named windstorm deductibles and the differences between the agreed value and actual cash value policies. Maritime attorney Todd Lochner gives his advice on how to "stay two steps ahead of the taxman" as you cruise the East Coast, illustrated with horror stories from his case files. The seminar concludes with all the presenters on stage to answer questions from the audience and to discuss one of the great conundrums of the age: The virtues of simplicity are often touted in discussions about boats, but simplicity is rarely achieved in the marketplace. What constitutes a simple boat? and are complex boats really that bad? Led by PassageMaker Troubleshooter columnist Steve Zimmerman, this intensive, two morning seminar will provide attendees with valuable information about all aspects of boat maintenance in cruising conditions. Zimmerman is uniquely qualified as an instructor by virtue of nearly four decades of boat repairs, culminating today in his ownership of four boatyards in Maryland, Virginia, and North Carolina, not to mention the fact that he is an experienced cruiser. Attendees will learn about fiberglass construction methods, maintenance, and repairs. General maintenance topics will include hauling, bottom paints, exterior wood care, and use of sealants. One full session will be devoted to marine electrical systems and basic troubleshooting techniques. Attendees will receive a certificate of completion that in some cases may help save money on their boat insurance. This course will develop skills in close quarters maneuvering and docking, not to mention the confidence gained from having been taught by some of the very best instructors in the business. Bob Sweet is the author of several marine titles including Powerboat Handling Illustrated and The Instant Handbook of Boat Handling, Navigation, and Seamanship. Saturday is all class time, then on Sunday, the class breaks down into groups and goes out on the water to put what is had learned into practice. For live training, we plan to use our twin screw project boat, a Grand Banks 42 named Arawak, and a single screw vessel, so students can learn the differences in handling and maneuvering techniques. Attendees will receive a certificate of completion that in some cases may help save some money on their boat insurance. This is a must attend seminar for any cruisers who intend to head north or south on the Intracoastal Waterway. Mark & Diana Doyle are authors of On the Water chart Guides, recognized as the gold standard of ICW guides. The Doyle&apos;s will outline how attendees can prepare themselves and their boats for the trip and highlight some of the fun and inexpensive stops from Virginia to the Dry Tortugas. In fact, you are almost guaranteed to save several times the price of admission by following their advice. Chuck Baier and Susan Landry lead this team teach seminar with a stable of down island specialists. This seminar is for anyone planning a trip to the Bahamas or the Caribbean. Attendees will learn how to prepare their boats and provision and what to expect as they move from island to island. Former PassageMaker Editor Peter Swanson will discuss the North Coast of the Dominican Republic, otherwise known as the "thorny path to windward." Weather Guru Chris Parker will talk about weather patterns and ways to obtain forecasts. Maritime Attorney Greg Singer presents a module for anyone considering keeping firearms aboard while cruising; he identifies the islands that can cause problems for even the most consciencious armed cruisers. Are you truly confident that you always know where you are and how to get to your destination? Whether you&apos;re new to navigation or just want to get up to speed with the latest technology, this mini course is for you. Instructor Bob Sweet is a senior navigator and author of The Weekend Navigator, GPS for Mariners, Using GPS, Using GPS with charts, and consultant to OceanGrafix. Sweet&apos;s seminar is a comprehensive "quick start" guide to navigation. You&apos;ll learn the essential skills from planning a cruise, through navigating it and checking along the way. You will learn how to use conventional charts with your electronics in a complementary way to ease your navigation tasks and ensure your safe arrival at your destination. You&apos;ll also learn some neat tricks for adjusting your navigation along the way and making your task a lot easier. You will learn about tides and currents and how to adjust to them. This also is a great course for mates and crew who would like to share in the navigation. You will get to work with real charts and some plotting tools on a simulated mini cruise. Weatherman Chris Parker, himself an experienced mariner, has been serving as a weather router for cruisers on the East Coast, the Bahamas and the Caribbean for more than 12 years. Parker&apos;s lively and informative seminar is aimed at any one who wants the knowledge to make their own passage decisions with whatever information is available. Topics include basic weather terminology and concepts such as temperature, wind and pressure and cloud identification. Parker reviews all the different free and paid way to get weather forecasts on a boat. Everything from OCENS and Sirius, and the services provided by MFD-makers, explaining which is best for what set of cruising circumstances and what they cost. This includes a briefing on GRIB files and how to use them. Plus, he will touch on down island weather patterns and various ways to obtain forecasts. Attendees will receive a certificate of completion that in some cases may help save money on their boat insurance. Now that U.S. citizens with a legal reason to visit Cuba can take their own boats there, we&apos;d like to get the word out to cruisers about what they can expect to find when they arrive. Don Barr, a Canadian sea captain, has cruised the Cuban coast for the past 19 years, most recently to facilitate research for his daughter Cheryl&apos;s two volume Cruising Guide to Cuba. He&apos;ll share his thoughts on cruising strategies for short and long trips. Maritime attorney Greg Singer will show attendees how to navigate U.S. regulations and cruise Cuba legally. Peter Swanson will suggest some resources that will make cruising easier and safer. George and Pat Hospodar, active cruisers authors of Reflection on America&apos;s Great Loop and The Great Loop Experience from Concept to Completion, will guide attendees through the important practical considerations that should be made before even undertaking this trip. These topics include: outfitting your boat, route planning, financial, medical, insurance, time frame, and life style factors, types of locks and lock safety, Canadian and U.S. Customs, addressing security issues, and much more. Co-presenter Joe Pica, an eight year liveaboard, has done the Great Loop three times on his N37 trawler as well as the entire Mississippi from Mineappolis to New Orleans. He will also describe his adventures navigating the Ohio River all the way to Pittsburgh, the Cumberland River to Nashville, and other heartland tributaries. Todd Lochner is a maritime attorney and regular Trawlerfest presenter. He&apos;ll summarize gun laws along the Loop&apos;s multiple jurisdictions--laws and enforcement of those laws that vary wildly. What is legal in Georgia might very well result in serious consequences in New Jersey, for example. This information has never before been compiled for cruisers. Yacht designer Steve Seaton has been designing trawlers for nearly 40 years, many of which were built of metal. As a surveyor specializing in metal construction and editors of Metal Boat Quarterly, Dylan Bailey is a leading authority on steel and aluminum boat building. Seaton and Bailey will discuss the many advantages to of custom construction in metal, including the ability to survive most groundings and collisions, as well as the downsides. They will also offer advice about how to buy a used metal boat, which can be tricky because quality of construction varies widely in the marketplace. During the presentation, an attendee will be selected to sit across from Seaton as he takes pen to paper to bring that person&apos;s dreamboat to life. Wednesday, Jan. 27, 8:30-10:30 a.m.
Jay and Karen Campbell are the fitness fanatics and full-time cruisers behind PassageMaker magazine&apos;s "Fitness Afloat" column. In each issue, they offer practical advice and illustrations for keeping fit on your boat. Jay and Karen will offer their fitness ideas, modeling fast boat-friendly fitness routines from beginner to advanced (younger to older), developed specifically for cruisers. In addition they will offer basic advice about diet and a healthy outlook through their "IDEA" program (Inspiration, Diet, Exercise & Attitude). Veteran cruisers and PassageMaker contributors Rudy and Jill Sechez talk about successful anchoring strategies straight from their new book Anchoring: A Ground Tackler’s Apprentice. Their discussion includes rope stretch, the role of chain, scope, tandem anchors, chafe, bridles, mud bottoms. As a bonus, you will learn the Sechez method for throwing a rope. Wednesday, Jan. 27, 10:45 a.m.-12:45 p.m. The title says it all. Authors and long-time liveaboards Chuck Baier and Susan Landry discuss what couples can expect when they go cruising and secrets to maintaining their relationship. Baier and Landry have been a boating couple for more 20 years. They have those years, they cruised the U.S. Atlantic coast from New Jersey to the Florida Keys and the Gulf coast from the Florida Keys to Texas. They have sailed off to the Bahamas, Turks and Caicos, U.S. and British Virgin Islands, Hispaniola, Cuba, Mexico, Belize and Guatemala. They live aboard a Marine Trader 34 named Beach House. Baier and Landry have been contributing writers to many boating publications, including Soundings, Good Old Boat, Southern Boating, Cruising World, SAIL, Bluewater Sailing, Lats and Atts, Living Aboard, Nor&apos; Easter and Marinalife. Good engine monitoring is critical to successful passage making, but stock engine gauges typically don&apos;t trigger alarms until problems are advanced. This is particularly true of older engines and this seminar will begin with a detailed discussion of various gateways that can convert analog engine data into NMEA 2000 so that it can be better displayed and alarmed. But even modern propulsion systems with digital engine output can benefit from additional monitoring like temperature sensors on shaft logs and pressure sensors on fuel filters. So these possibilities will also be discussed, as well as engine data logging for trend analysis and fuel flow monitoring. Ben has installed several types of engine room monitoring aboard his own trawler and has advice for both do-it-yourselvers and owners who want to know what should be possible with professional installation. Thursday, Jan. 28, 10:45 a.m.-12:45 p.m.
Jay Campbell has been providing articles and photographs for decades through outdoor publications such as Grays Sporting Journal, Sports Afield, his own book "Longbow," and now PassageMaker magazine. Jawill offer simple ideas for making your photography great, by applying just a few basics most people ignore. He will present in an interactive question and answer style, showing before and after images to illustrate simple editing, and explain how to use light to your advantage in difficult situations such as sunset and the cramped space available on a boat. The seminar will also include a few simple tips of sharing and social media. Thursday, Jan. 28, 3:30-5:30 p.m.
John Brownlee, one of the best known figures in fishing journalism in the world, is now executive producer of our own Anglers Journal Television. Brownlee will talk about how to catch the kind of fish that make a great meal. He’ll advise on the type of rods, reels, lures and other gear that are suitable for a cruising boat and easy ways to cook what you’ve caught. Chart plotters first became multifunction displays (MFDs) when they could also show radar and fishfinding sonar. Now many other possible functions have been added -- like forward and side looking sonar, weather, camera display/control, engine monitoring, and digital switching -- with more coming. Ben Ellison has extensive MFD systems from Garmin, Simrad, Furuno, and Raymarine installed on his test vessel and he&apos;ll illustrate all sorts of integrated navigation in use. He&apos;ll also discuss techniques for managing multiple functions on one or more screens, electronic charting mistakes to avoid, and where it&apos;s all heading. The goal is to make the best use of the electronics you may already have and to understand what might be possible with add-ons including phone, tablet, and PC integration. Ben also has advice on the difficult decision of which primary system to choose if you&apos;re starting fresh or doing a major refit. Friday, Jan. 29, 10:45 a.m.-12:45 p.m.
Captains Chris & Alyse Caldwell share much more than your typical shopping list. These experienced cruisers will help you learn what you should bring along to prepare for your cruise away from home port. Consider everything from spare parts and tools to first-aid and groceries and how to replenish these supplies while cruising. Then where do you store these items? We will explore what works in the real world of boating and what doesn’t. You just might rethink the way you&apos;ve always done it. 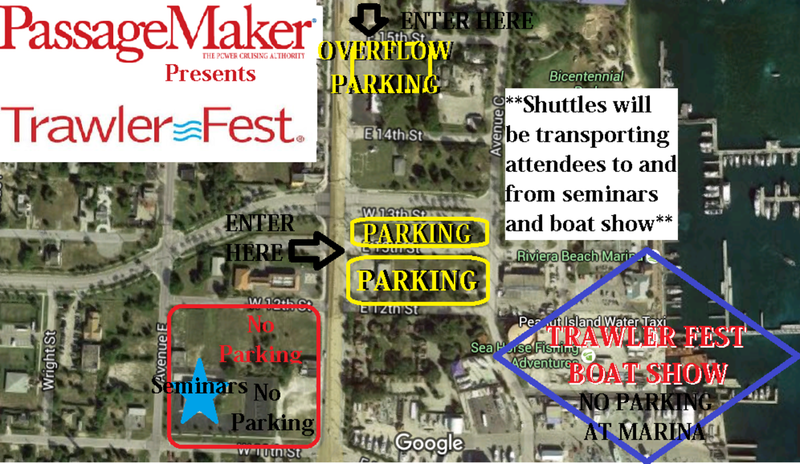 One of only two TrawlerFest-Riviera Beach afternoon seminars will be a town-hall event. In it, our panel of veteran cruisers will field audience questions on a wide-range of topics, sea stories resulting. Circumnavigator Bruce Kessler can discuss what it’s like to spend months and months treading bluewater. Surveyor Dylan Bailey is a veteran cruiser who learned to build boats with his father. PassageMaker Electronics Editor Ben Ellison has tens of thousands of sea miles beneath his sou’wester. Don Barr has 18 years of cruising the Cuba coast. John Clayman is a prominent East Coast yacht broker, cruiser and all-around boat guy, and Steve Zimmerman can discuss repairs and boatyards from the point of view of both a cruiser and boatyard owner. Chris Parker is an experienced cruiser and weather router par excellance for cruiser going down island. Former PassageMaker Editor Peter Swanson will moderate and occasionally throw in his two cents. Saturday, Jan. 30, 8:30-10:30 a.m. Going cruising? Every pet owner knows they will not be happy without taking the furry family members along. Captains Chris & Alyse will present some of the finer points of traveling with your pets during this informative and entertaining seminar. And you’ll get to meet their rambunctious companion Bert. How do you set up high performance, reasonable cost WiFi and cellular connections on your boat? When do satellite communications make sense and what are the sensible options? PassageMaker Electronics Editor Ben Ellison has tested much of this equipment on his floating laboratory, the Duffy 37 Gizmo, and he’ll clarify the complexities. Then we’ll look at some of the wireless apps and gadgets that are making cruising safer and more fun. Besides standalone charting apps, and why you might want to use them in addition to your primary navigation system, we’ll review a wide variety of mobile programs that can communicate with your boat’s electronics for improved instrumentation, off- vessel monitoring and more. Marine weather, AIS, and cruising info apps will also be covered. There will be particular emphasis on new services that make it easy to upload detailed navigation, systems and engine data to the Internet, whether it’s to improve charts, maintain an online log, or trend analyze your power plant. Maine is surely one of the finest cruising grounds on planet Earth for reasons obvious and not so obvious. Veteran mariner and electronics expert Ben Ellison will lead the discussion about cruising his adoptive state, with former PassageMaker editor Peter Swanson lending his views as a long-time Maine cruiser. The discussion will include preparations for yourselves and your boats, how best to get to Maine and some must-see destinations once you arrive. We’ve heard some Bay-area cruisers talk about a prospective Maine cruise as if they were going to Africa. Ellison and Swanson will endeavor to remove some of the mystery that shrouds this subject like a July fog on the Penobscot. Sunday, Jan. 31, 10:45 a.m.-12:45p.m. Learn about an around-Florida adventure that involves circumnavigating the lower part of the state via the Okeechobee Waterway and Florida&apos;s Ten Thousand Islands. Boatbuilder, Florida native and all-around raconteur, Ken Fickett takes you a journey that encompasses many of Florida’s few wild and eccentric places. He’ll show you the interesting stops and how to avoid those goshdarned smugglers. Sunday, Jan. 31, 10:45 a.m.-12:45 p.m.
Scott McDowell, author of Marinas: The Complete Guide for Marina Selection, Storm Awareness and Living Comfortably Aboard Your Boat, advises cruisers on how to be informed shoppers for the best slip and best boating community. Topics include: Critical interactions with marina management; docks and slips; key utilities and local services; biofouling and corrosion; weather and storm considerations; useful Websites; boater safety and marina tenant agreements. With a Ph.D. in Ocean Physics, Scott will also discuss important aspects of tides, storm surge, marine lightning and little-known meteo-tsunamis. Come enjoy this session of practical information with a healthy dose of science, sea salt and nautical humor from a seasoned mariner. This seminar is designed for skippers and crew wanting to make offshore passages to reach distant ports; it’s designed to be both an introduction and a refresher. Jeff Merrill, who has logged more than 15,000 sea miles, much of it training clients, will discuss the essential preparations and fundamental skills. Topics will include weather considerations, route planning, watch standing, engine room checks, navigation/electronics operations, and more. The goal is to help make sure you and your trawler are ready before you depart, knowing what to expect under way and understanding what it is really like to operate your trawler at sea. Many helpful pointers will help ensure you, your boat and your crew are prepared so your next open water trip is safe, comfortable and successful. A certificate of completion will be issued, which may help attendees obtain lower insurance rates. The appeal is strong. Living aboard a trawler or cruising for months at a time is an adventure that creates wonderful memories. Veteran yacht broker Jeff Merrill discusses how even owners with a limited window of time to explore and enjoy can maximize the enjoyment. Meanwhile you may be looking to sell your boat. Maybe you are upsizing, downsizing, or you feel the time has come to "swallow the anchor," as the old sailors used to say. Merrill will suggest the ways to prepare your boat for market, and have a successful game plan for finding a buyer. Sunday, January 31, 8:30-10:30 a.m.
Long distance cruisers rely on their marine electronics and nearly all marine electronic devices are interconnected by a network of some kind. It is essential to have basic understanding of networked systems and even better to have a thorough understanding of marine networks. PassageMaker contributor and veteran cruiser Jeff Hummel will provide a broad overview of all the different types of marine networks and will cover NMEA 2000 in-depth. The seminar is for anybody who plans to purchase, install and use marine electronics on their boat. The seminar will cover best practices, redundancy and other techniques to ensure maximum reliability of your vital systems. Saturday, January 30, 3:30-5:30 p.m.
Nearly all long distance cruisers use a PC based navigation software to complement their onboard systems, in fact many if not most use PC based systems as their primary navigation tool. Jeff Hummel, author and PassageMaker contributor, will provide you with a complete understanding of how long range cruisers plan their voyages and navigate on the water. The seminar will cover electronic charts, integrating existing electronics, planning a long trip and using the software under way. Having worked at Nobeltec and now Rose Point Navigation Systems, Hummel is one of the world’s leading authorities on PC based navigation. Valid until Monday, December 14th at 5:00 PM, eastern time. Thanks to our friends at Boat Show Hotels! Everything You Wanted to Know About Your Yacht Insurance Policy But Didn&apos;t Know Who to Ask presented by Cary Robert Wiener- Sponsored by Pantaenius America Ltd. This presentation provides an overview of what yacht insurance is for, the different types of policies that are available, and how yacht policies can differ overall. Topics to be covered include: * Implication of secret implied warranties. 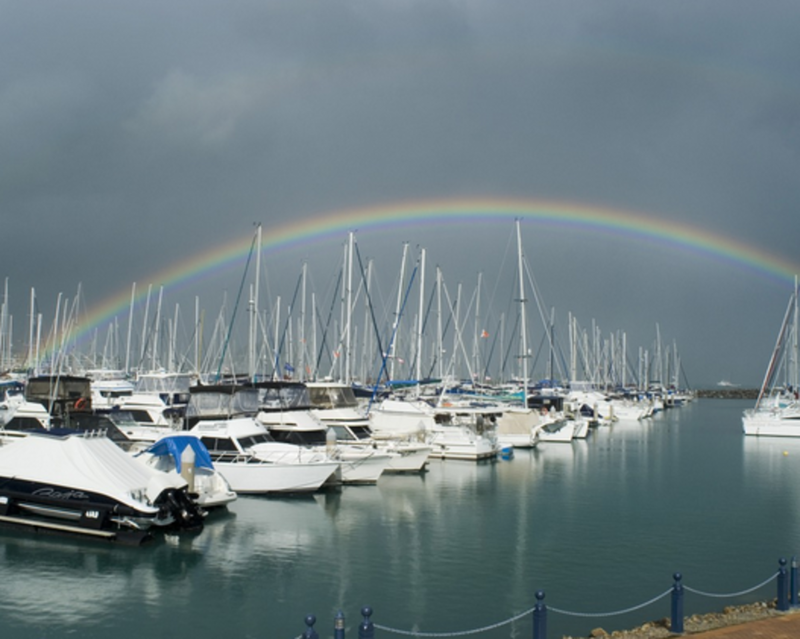 * Review of clauses found in most yacht insurance policies. * How to negotiate with your insurance company for better terms. * An Open forum. Ask ANYTHING about marine insurance and marine law. PC-based marine navigation has revolutionized the way boaters plan and navigate voyages. PC-based navigation systems are easier to use and offer a more comprehensive user experience and sophisticated tools than what is available on a dedicated plotter. This seminar will cover all of the basics of PC navigation including: software elements, choosing a program, charts, satellite and aerial imagery. Check back often as we continue to update this list periodically.